We stopped off in Rotterdam, Netherlands for a couple of days last summer. The sixth busiest port in the world and the largest in the western world, Rotterdam is a major conduit for the import and export of goods and materials for all of northern Europe. 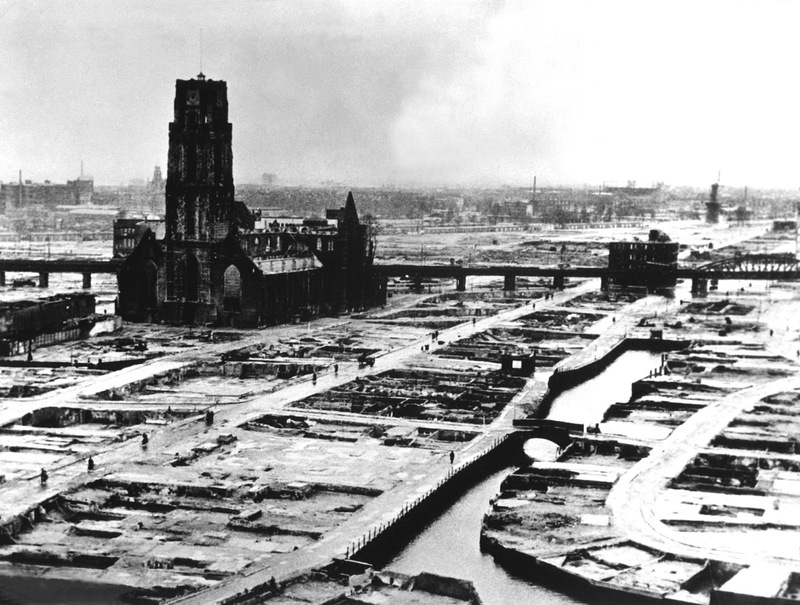 During WWII, the Germans seized the port after bombing it into submission in 1940. From this moment on, the city became an Allied target for the remainder of the hostilities. 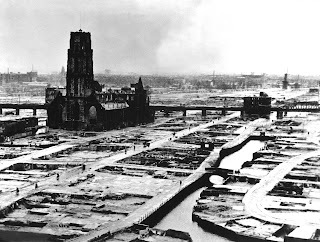 By the time the war ended in 1945 all but two historical buildings remained salvageable in the city center with the rest of the area being reduced to a wasteland. Post-war reconstruction gave rise to much experimental architecture during the latter decades - the eighties and nineties - some of which was somewhat over the top. Nonetheless, the city is again a vibrant cultural and commercial success albeit with a few questionable oddities on display and very little in the way of historical sights. For more images, click here.